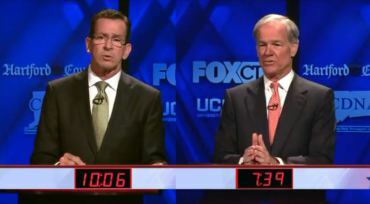 There was not a deep discussion on health care in the recent televised gubernatorial debate—nor by Malloy and Foley on the campaign trail. It is critical for us to have a clear picture of where our candidates for governor stand on health care issues. The CT Mirror published 10 things Dan Malloy thinks about health care (10/6/14), a companion to 10 things Tom Foley thinks about health care (7/31/14), which asks the candidates about several health care issues in the state. It is disappointing that a journalist has to dig this deep for answers. It is not enough for Foley to speak in sound bites about cutting costs or for Malloy to reiterate that Connecticut has lowered its uninsured rate. Is health care just not on their radar? By not discussing it, the candidates signal that this is not a priority. No matter who you are, health care affects your wallet and your well-being. This is an issue for communities, families, and individuals. We all have something at stake. The state spends over one third of its budget on health care. Those dollars come from all of our pockets. We deserve to know that the state is using our dollars well, to truly improve the health care system for all of us. We want to know more about hospital mergers and the purchase of non-profit hospitals by for-profit companies. We should be given a clear outline on how the state will protect residents and ensure people have access to quality affordable care. The health care system is complex and there are many players—the state, insurance companies, hospitals, doctors, employers, consumers. We want to know how the future governor plans to leverage the state’s power to promote positive change. How will the state will partner with all these stakeholders to build a better system? What will the next governor do for us? We deserve better. We deserve leadership. We deserve an inclusive vision of a healthy Connecticut and real pathways to get there together. It’s time for both candidates to step up. We deserve it. And the well-being of our state depends on it.